So, the kitchen design is done, the layout is complete. 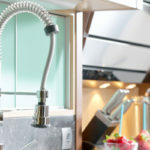 Now comes the fun part, choosing your kitchen’s fixtures. That is the fun part, right? For some of you it is, while for others the sheer number of options available can be overwhelming. Others still loose focus and direction, while some worry about choosing wrong and won’t make any decision at all. Now, its down to the details, in particular the cabinet hardware for the beautiful cabinets you’ve chosen for you kitchen. 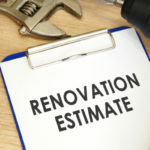 In every kitchen design, whether you are updating, remodeling, or working on a new build, the details matter. The cabinet hardware you select, though small, makes a statement about your style that encompasses the look and feel of your kitchen. These little fixtures are important to your overall design, so how do you choose the perfect look, finish, and style? 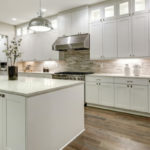 When you begin your search for the hardware for your kitchen cabinets, you may, at first, be surprised by the number of knobs and pulls from which you have to choose. Each of the different features of these choices can alter the look, feel, and style of your kitchen. You’ll recognize kitchen cabinet knobs as those you probably grew up with in your childhood home. Known as mushroom knobs, for obvious reasons, these traditional knobs pair perfectly with a classic design. Cup pulls (aka bin pulls) on cabinet drawers elicit a traditional feel as well. 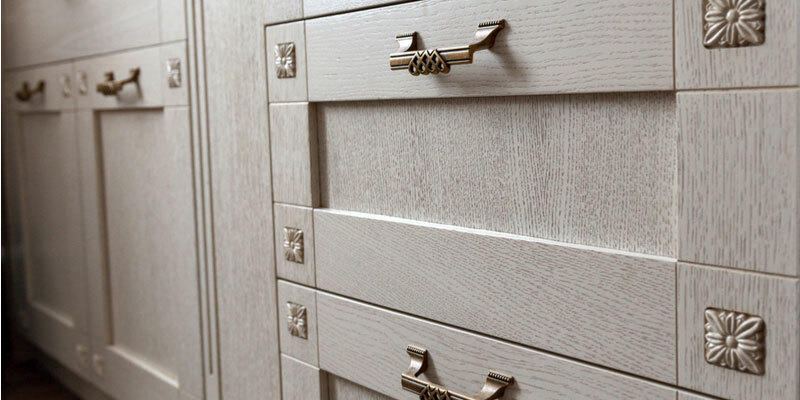 Other cabinet pulls can produce a sleek and modern look or a sophisticated elegant style. The many varieties of knobs and pulls can deliver a multitude of looks, distinctly producing the look you want and coordinating with your kitchen style. While making all those big choices, the cabinet hardware may have seemed like an afterthought until now, when a decision needs to be made. In reality, your cabinet hardware is a major player in your kitchen’s overall décor. The choices are many – traditional, contemporary, or transitional (the in-between option which delivers timeless design a in modern format). If your preferred style is traditional, but you like down-to-earth function, a utilitarian mushroom knob might be the choice for you. Scaling up is also another way to find your style. Over-sized knobs add a certain level of flair you might enjoy. If scaling up doesn’t fit your style, you might try streamlining by choosing a minimalist style knob or pull. Keep in mind, the average size of a kitchen knob’s diameter is 1 ¼ inches and there are abundant options outside the norm. Once you choose whether you want knobs or pulls, scaled up or streamlined, and settled on your overall kitchen style, you still have to choose the material as well as the finish. Kitchen hardware is available in a vast array of materials from high-tech plastic to classic stainless steel to perfectly polished brass. Other popular options include nickel which works perfectly in a sleek modern kitchen or timeless bronze, the ideal choice for a farmhouse design. 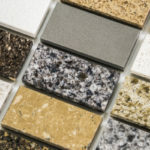 You can also choose different finishes for the material you like and add even more style to your beautiful new kitchen.